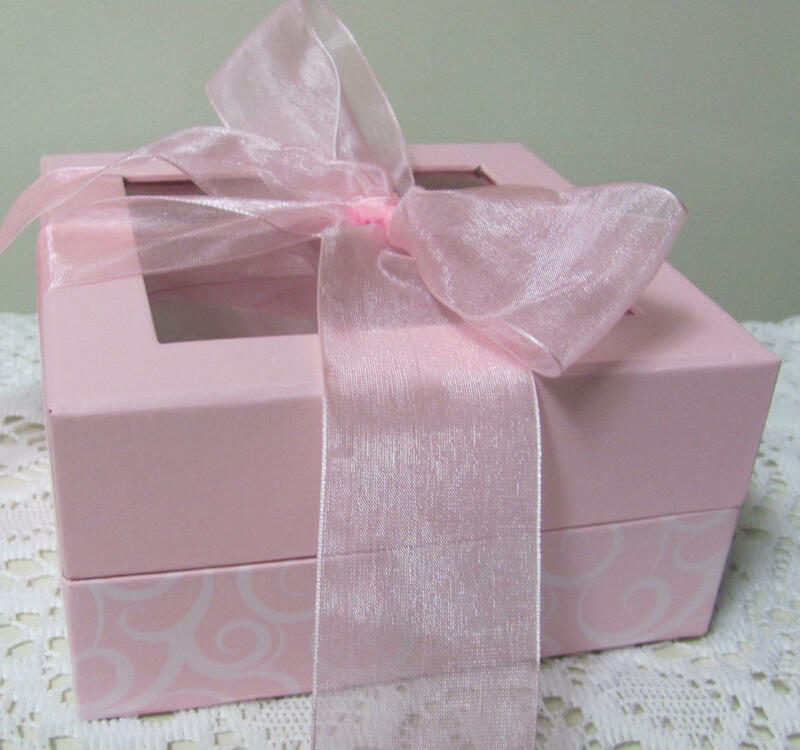 Pink gift box. 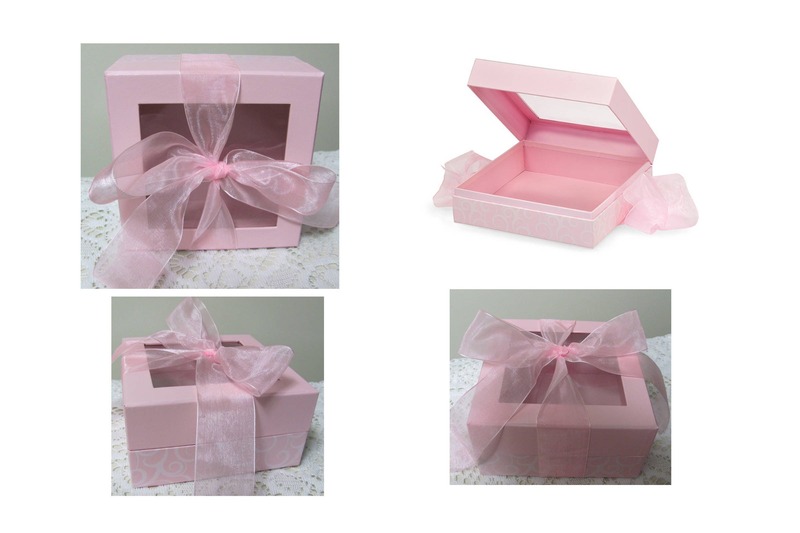 Gift & Gourmet Presentation Boxes are rigid 1 piece auto-hinged boxes with a clear acetate window in the lid. 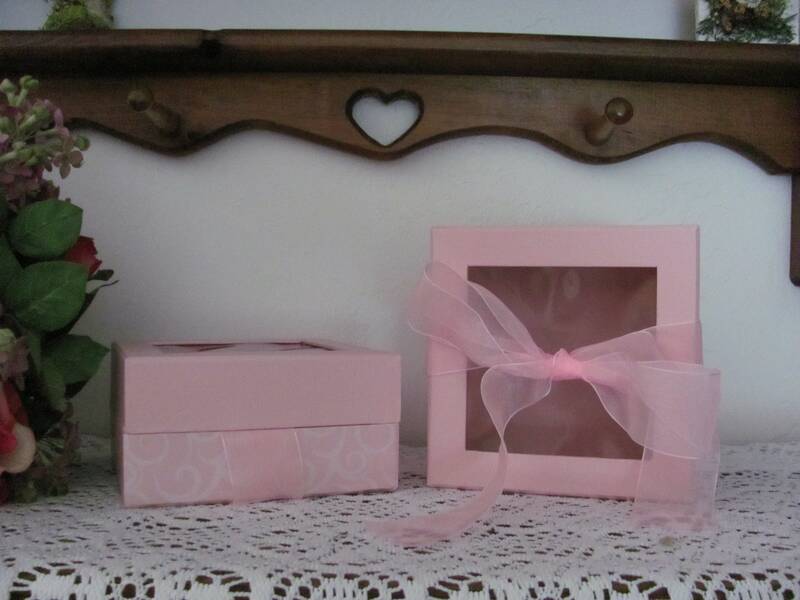 The boxes have coordinating colors both inside and out. 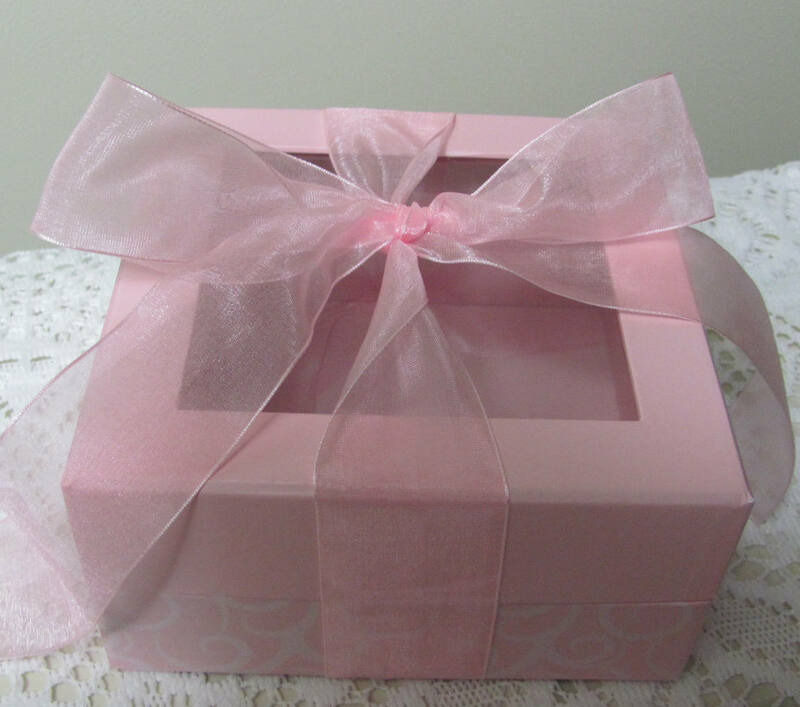 As a finishing touch, a generous length of beautiful coordinating ribbon comes pre-attached to the bottom of the box. We recommend a food safe barrier such as a candy cup, clear cello sheet or cello bag as a bottom liner. Presentation grade packaging for your gourmet products. 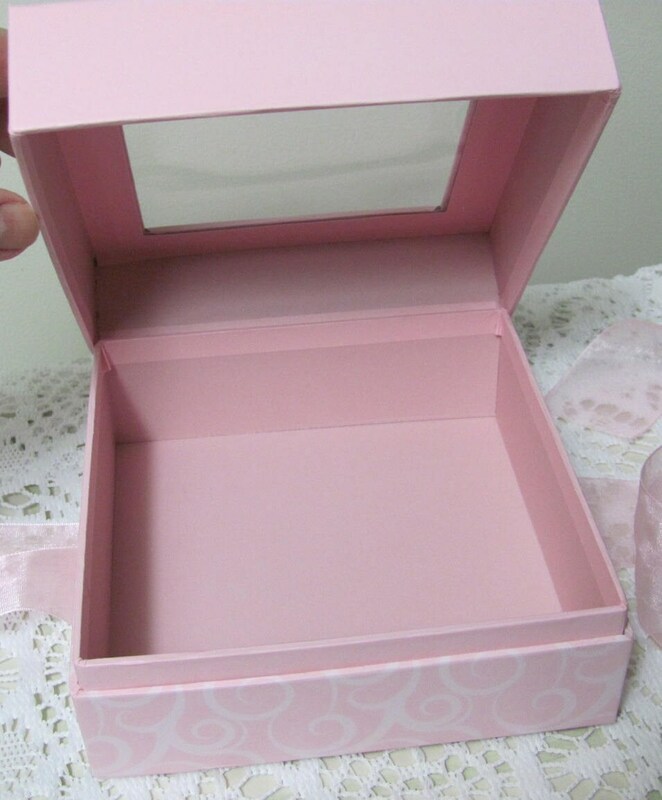 Box is ready to make your presentation, just open the attached hinged lid and add your product. 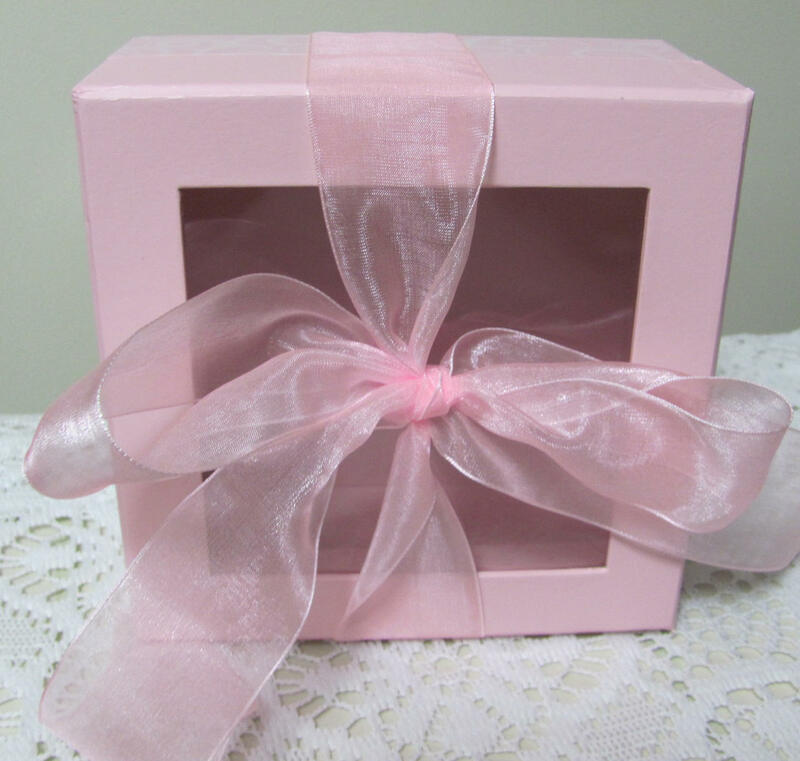 Then just tie off with the attached ribbon. Box size is 5-3/4 x 5-3/4 x 3" inches deep.